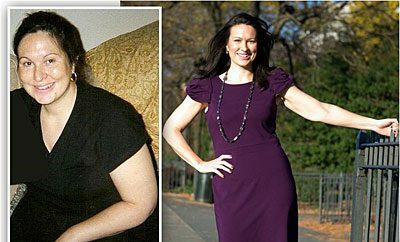 Leslie Kingston loves her weight loss results from the Turn Up Your Fat Burn diet plan and exercise routine. But after 4 weeks on the program, Leslie is a believer. “I followed the plan exactly as instructed, and I am absolutely amazed at the results.” At her final weigh-in, Leslie had dropped almost 11 pounds and lost almost 3 inches from her waistline, 2 1/2 inches from her hips, and 3/4 inch from her thighs. 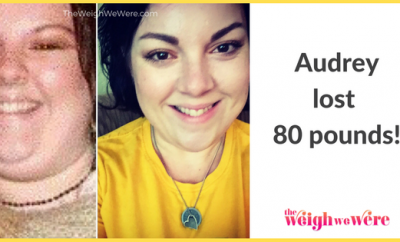 Leslie felt she needed a change after looking through some photos taken at her youngest son’s college graduation, when she weighed upward of 196 pounds. 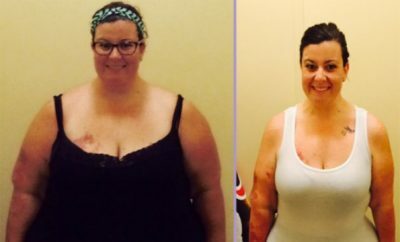 “I felt pretty good about myself until I saw those pictures. 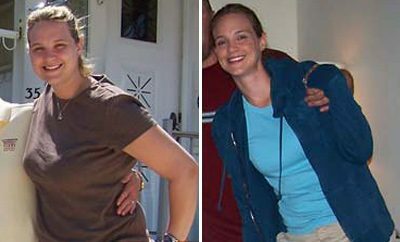 I was shocked to see what I’d become.” She says the variety of the program–an ever-changing mix of strength moves and cardio intervals–kept her involved and on track. “Every workout I’d done before was just more of the same: more reps, more weights, more time. Mixing it up kept me motivated to continue.” Her favorite part of all the workouts: doing the sprints in the Week 4 cardio routine.